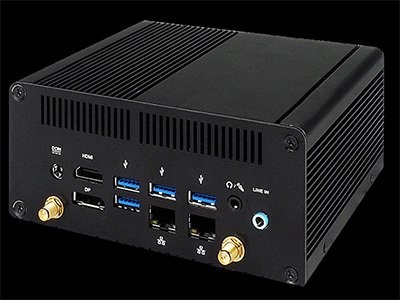 Intel Core i7-7700 3.6GHz Kaby Lake 65W CPU & Heatsink. Quad Core, 8 Threads, 8MB Cache, 1.15GHz Intel® HD Graphics 630, vPro. Compatible with Kaby Lake Socket 1151 Motherboards. Skylake Motherboards may require BIOS update. Intel Core i5-7600 3.5GHz Kaby Lake 65W CPU & Heatsink. Quad Core, 6MB Cache, 1.15GHz Intel® HD Graphics 630, vPro. Compatible with Kaby Lake Socket 1151 Motherboards. Skylake Motherboards may require BIOS update. Intel Core i7-7700K 4.2GHz Kaby Lake 91W CPU (No Heatsink). Quad Core, 8 Threads, 8MB Cache, 1.15GHz Intel® HD Graphics 630. Compatible with Kaby Lake Socket 1151 Motherboards. Skylake Motherboards may require BIOS update. Intel Core i5-7400 3.0GHz Kaby Lake 65W CPU & Heatsink. Quad Core, 6MB Cache, 1.1GHz Intel® HD Graphics 630. Compatible with Kaby Lake Socket 1151 Motherboards. Skylake Motherboards may require BIOS update. Intel Core i3-7100 3.9GHz Kaby Lake 51W CPU & Heatsink. Dual Core, 4 Threads, 3MB Cache, 1.1GHz Intel® HD Graphics 630. Compatible with Kaby Lake Socket 1151 Motherboards. Skylake Motherboards may require BIOS update. 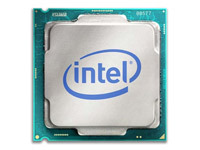 Intel Pentium G4600 3.6GHz Kaby Lake 51W CPU & Heatsink. Dual Core, 4 Threads, 3MB Cache, 1.1GHz Intel® HD Graphics 630. Compatible with Kaby Lake Socket 1151 Motherboards. Skylake Motherboards may require BIOS update. Intel Pentium G4560 3.5GHz Kaby Lake 54W CPU & Heatsink. Dual Core, 4 Threads, 3MB Cache, 1.05GHz Intel® HD Graphics 610. Compatible with Kaby Lake Socket 1151 Motherboards. Skylake Motherboards may require BIOS update. Intel Core i5-7500 3.4GHz Kaby Lake 65W CPU & Heatsink. Quad Core, 6MB Cache, 1.1GHz Intel® HD Graphics 630. Compatible with Kaby Lake Socket 1151 Motherboards. Skylake Motherboards may require BIOS update. Intel Core i5-7500T 2.7GHz Kaby Lake 35W CPU (No Heatsink). Quad Core, 6MB Cache, 1.1GHz Intel® HD Graphics 630, vPro, 1.7GHz TDP-Down Frequency. Compatible with Kaby Lake Socket 1151 Motherboards. Skylake Motherboards may require BIOS update. Intel Core i5-7600T 2.8GHz Kaby Lake 35W CPU (OEM, No Heatsink). Quad Core, 6MB Cache, 1.1GHz Intel® HD Graphics 630, vPro, 1.8GHz TDP-Down Frequency. Compatible with Kaby Lake Socket 1151 Motherboards. Skylake Motherboards may require BIOS update. 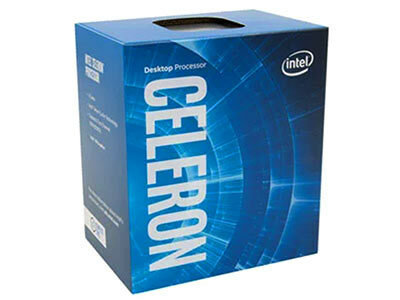 Intel Celeron G3930 2.9GHz Kaby Lake 51W CPU & Heatsink. Dual Core, 2MB Cache, 1.05GHz HD Graphics 610. Compatible with Kaby Lake Socket 1151 Motherboards. Skylake Motherboards may require BIOS update. Intel Core i5-7600K 3.8GHz Kaby Lake 91W CPU (No Heatsink). Quad Core, 6MB Cache, 1.15GHz Intel® HD Graphics 630. Compatible with Kaby Lake Socket 1151 Motherboards. Skylake Motherboards may require BIOS update. Intel Core i3-7350K 4.2GHz Kaby Lake 60W CPU (No Heatsink). Dual Core, 4 Threads, 4MB Cache, 1.15GHz Intel® HD Graphics 630. Compatible with Kaby Lake Socket 1151 Motherboards. Skylake Motherboards may require BIOS update. Intel Core i5-7400T 2.4GHz Kaby Lake 35W CPU (OEM, No Heatsink). Quad Core, 6MB Cache, 1.1GHz Intel® HD Graphics 630, 1.2GHz TDP-Down Frequency. Compatible with Kaby Lake Socket 1151 Motherboards. Skylake Motherboards may require BIOS update. Intel Core i7-7700T 2.9GHz Kaby Lake 35W CPU & Low Profile Heatsink. Quad Core, 8 Threads, 8MB Cache, 1.15GHz Intel® HD Graphics 630, vPro, 1.9GHz TDP-Down Frequency. Compatible with Kaby Lake Socket 1151 Motherboards. Skylake Motherboards may require BIOS update. Intel Celeron G3950 3.0GHz Kaby Lake 51W CPU & Heatsink. Dual Core, 2MB Cache, 1.05GHz HD Graphics 610. Compatible with Kaby Lake Socket 1151 Motherboards. Skylake Motherboards may require BIOS update. Intel Core i3-7100T 3.4GHz Kaby Lake 35W CPU (OEM, No Heatsink). 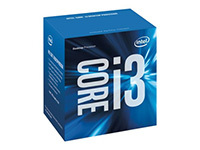 Dual Core, 4 Threads, 3MB Cache, 1.1GHz Intel® HD Graphics 630, 2.4GHz TDP-Down Frequency. Compatible with Kaby Lake Socket 1151 Motherboards. Skylake Motherboards may require BIOS update. Intel Core i3-7100T 3.4GHz Kaby Lake 35W CPU & Low Profile Heatsink. 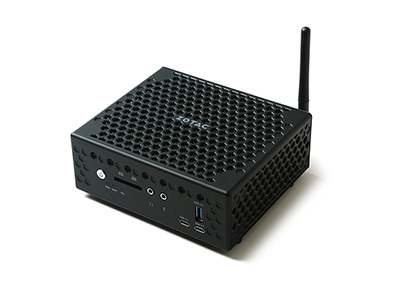 Dual Core, 4 Threads, 3MB Cache, 1.1GHz Intel® HD Graphics 630, 2.4GHz TDP-Down Frequency. Compatible with Kaby Lake Socket 1151 Motherboards. Skylake Motherboards may require BIOS update. Intel Core i3-7300T 3.5GHz Kaby Lake 35W CPU & Low Profile Heatsink. 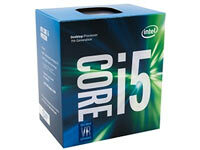 Dual Core, 4 Threads, 4MB Cache, 1.1GHz Intel® HD Graphics 630, 2.5GHz TDP-Down Frequency. Compatible with Kaby Lake Socket 1151 Motherboards. Skylake Motherboards may require BIOS update. Intel Core i3-7300T 3.5GHz Kaby Lake 35W CPU (OEM, No Heatsink). 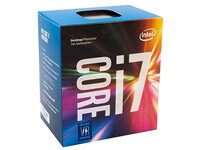 Dual Core, 4 Threads, 4MB Cache, 1.1GHz Intel® HD Graphics 630, 2.5GHz TDP-Down Frequency. Compatible with Kaby Lake Socket 1151 Motherboards. Skylake Motherboards may require BIOS update. 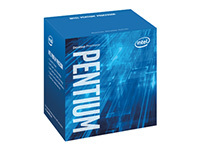 Intel Pentium G4620 3.7GHz Kaby Lake 51W CPU & Heatsink. Dual Core, 4 Threads, 3MB Cache, 1.1GHz Intel® HD Graphics 630. Compatible with Kaby Lake Socket 1151 Motherboards. Skylake Motherboards may require BIOS update. Intel Core i3-7320 4.1GHz Kaby Lake 51W CPU & Heatsink. Dual Core, 4 Threads, 4MB Cache, 1.15GHz Intel® HD Graphics 630. Compatible with Kaby Lake Socket 1151 Motherboards. Skylake Motherboards may require BIOS update. Intel Core i3-7300 4GHz Kaby Lake 51W CPU & Heatsink. Dual Core, 4 Threads, 4MB Cache, 1.15GHz Intel® HD Graphics 630. 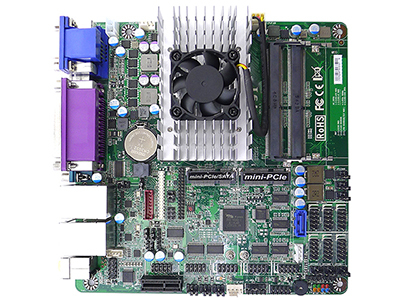 Compatible with Kaby Lake Socket 1151 Motherboards. Skylake Motherboards may require BIOS update.